We all have to deal with lots of different life problems and challenges such as anxiety, depression, difficult relationships and bereavement. Sometimes we need help to get our emotional wellbeing back on track. Cheadle Holistic Therapies now includes Cheadle Counselling Rooms and we have a team of highly trained therapists and counsellors with a wide range of expertise to help you; We offer a range of talking therapies from CBT and Counselling to Hypnotherapy and Psychotherapy. 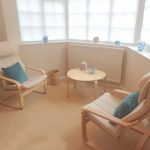 Our therapy rooms are newly refurbished to a high standard and are tranquil, attractive and comfortable. We are near motorways and public transport and have plenty of free parking making it a convenient place to come and get the help you need. Within easy reach of Stockport, Didsbury, Cheadle Hulme, Bramhall and Wilmslow.